August 28th is Rainbow Bridge Remembrance Day–a day to celebrate the lives of the dogs and other pets who touched our lives and are no longer with us. Some believe that our pets cross over to a place called the Rainbow Bridge when they die, and they wait for us there until our lives end, and we meet again. Whether or not you believe in the Rainbow Bridge, this day is a good opportunity to think about the dogs that have been so special to you and to honor their memories. There are so many ways to grieve and pay tribute to loved ones, and your own process will be deeply personal. These suggestions are simply meant to help inspire you to memorialize your dogs in a way that brings you comfort and helps you move on, but never forget. 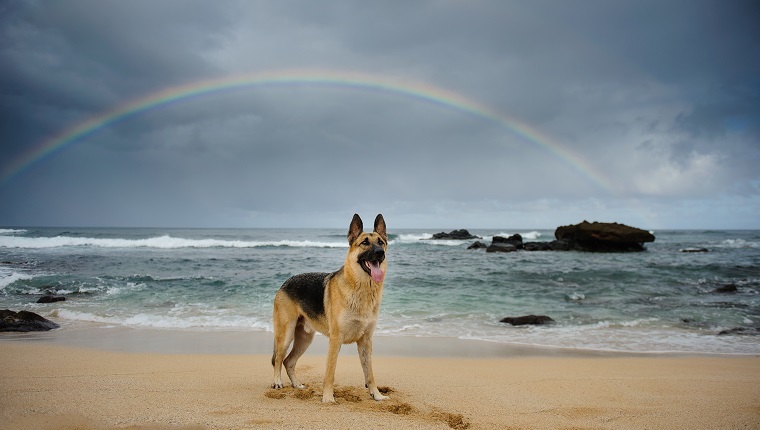 Here are five ways to memorialize your dog in honor of Rainbow Bridge Remembrance Day. A memorial service doesn’t need to be anything elaborate. It can just be you and your family, or maybe a few friends, who were particularly fond of the dog you lost. Share stories, appreciate your loved ones, and grieve together. If you are holding onto your pet’s ashes and have been meaning to spread them, this might be a good opportunity to do that. It can be heartbreaking to talk about the dogs that we’ve lost, but rather than focusing on the pain, we should remember the good times and share those positive memories with others. Before the pain of loss, your dog gave you a lifetime of love and happiness, and one way to honor that love is by sharing and never forgetting it. Your positive stories may encourage others who are afraid of losing a dog to realize that having a dog in your life is worth it, and it may help them make the choice to adopt and save another life. Many people find comfort in expressing themselves through art or other creative outlets. 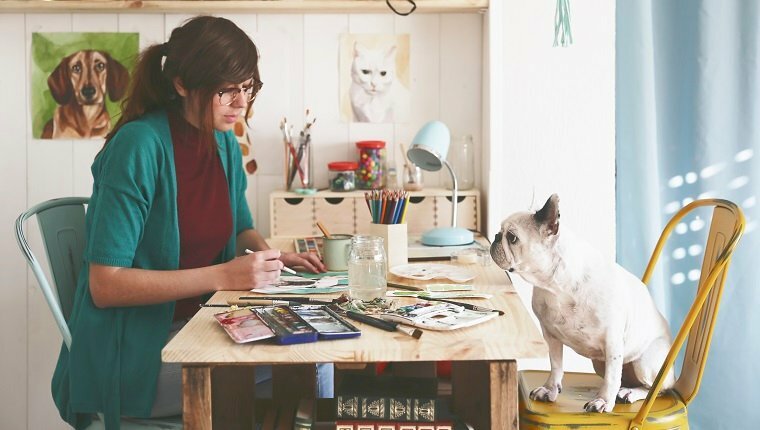 Whether or not you feel that you have a creative talent, try making something that will help you pay tribute to your dog. It can be a drawing, painting, poem, song, video, story, or even just a collection of thoughts that you write down. You can use woodworking, stitching, or any other skills you have, but just try to make something. You’d be surprised how cathartic and comforting it can be to put your thoughts and emotions into making something, and you’ll be left with a lasting memorial that has very special meaning to you. You may want to remember your dog by always having something that reminds you of them close by. A locket with a picture inside, a bracelet or piece of jewelry that reminds you of your dog, or even a picture in your wallet can be valuable reminders of the love and good times you shared, and it may be a visual symbol that part of your dog is always with you. Just make sure you have copies of all pictures you use in case you lose your wallet or jewelry. Some people choose to even get tattoos that pay tribute to their dogs so they always have a memorial with them, no matter what. If that’s not your style, that’s fine, too. Everyone has their own way of remembering their loved ones. Maybe it’s been a while since you’ve had another dog. The pain of loss might make it seem like opening your heart again isn’t worth it. I certainly wouldn’t rush anyone who is grieving to feel like they need to replace a dog immediately, or to just “get over it.” If you need time, that’s fine. But when you are ready, consider sharing your home and your love with another dog. Your pup certainly wouldn’t want you to be sad and lonely. That’s why they brought you so much joy in life and comforted you when you needed it most. 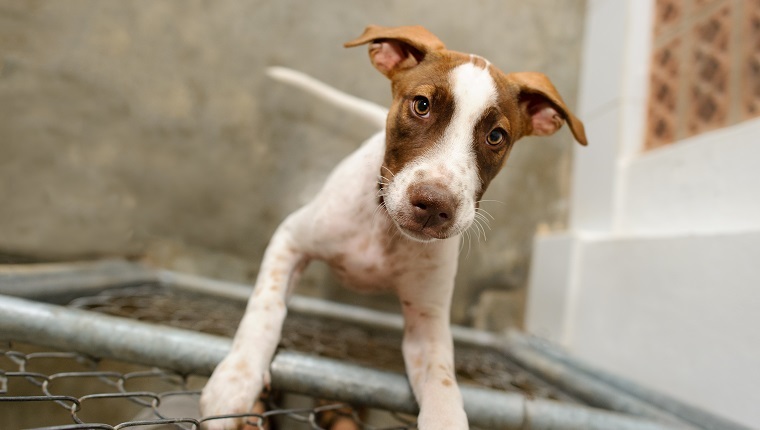 Adopting a new dog can be a great way to honor your old pup’s love, and you’d be saving a life. Too many dogs live without loving forever families, and any one of them would be so happy to even get a fraction of the love you felt for your old dog. Bringing new life into your home is a great way to honor those you’ve lost. What other things can people do to memorialize their dogs on Rainbow Bridge Remembrance Day? 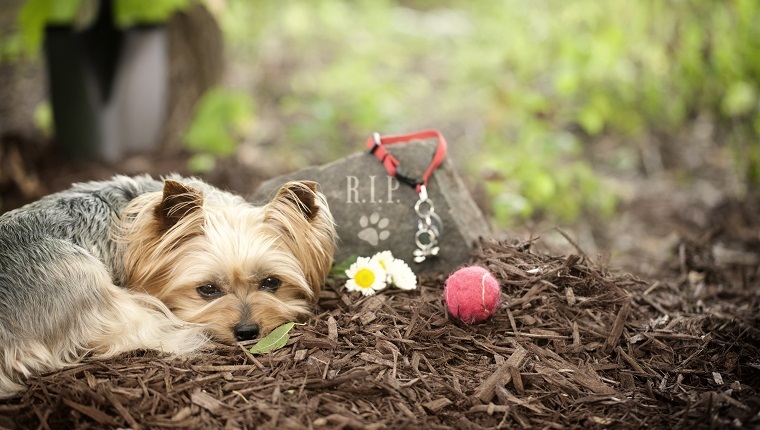 What sorts of things do you do to pay tribute to dogs you’ve lost? Let us know in the comments below!